When our designers aren’t helping others design custom pieces, they dream up their own styles and can’t resist putting them down on paper. This ring has 3.25 total carats of Contemporary Nexus Diamonds™, including a 2.55 carat Round Brilliant center stone and 134 accent stones. Hear hear! 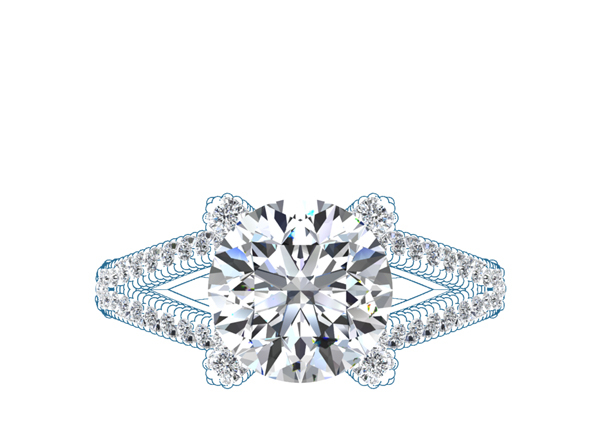 My particular dream split -shank ring from DN is the Bella Vista. Ooh la la!